"Thanks to the entire staff and intern that listened and treated me right away." "Staff greets me with a smile and does a great job at cleaning and checking." "I needed an emergency visit, They got me in very quickly, and the staff is just amazing!" "Thank you for your fast and friendly service!" "Excellent staff! Wonderful experience every visit." "I would 100% recommend this office!" 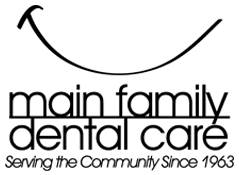 Lynn Griebahn, DDS, is a highly skilled dentist who has been serving patients from all over Scott County at Main Family Dental Care in Davenport, Iowa, since 2004. He specializes in general dentistry and treats patients of all ages and backgrounds, offering top-of-the-line oral health care. Originally from Chicago, Dr. Griebahn completed his undergraduate studies at the University of Iowa in Iowa City before graduating from its College of Dentistry in 1984. Now, as a practicing professional, he provides a variety of valuable dental services, such as hassle-free wisdom teeth extractions, crowns, and cosmetic teeth whitening to enhance patient smiles. Dr. Griebahn uses the most cutting-edge technology in the field of dentistry to make every procedure as comfortable and convenient as possible. A family dentist, he’s equipped to treat each generation of every family all under one roof, making scheduling appointments easy and simple. In his time serving the Davenport community, Dr. Griebahn has made many close friends at the practice. Men, women, and children who trust him with improving their smiles have come to appreciate his kind, calm demeanor and nurturing care. When he’s not in the office, Dr. Griebahn enjoys spending time with his wife Brenda, who was born and raised in Davenport and attended North Scott High School, and their four children and 10 grandchildren. Dr. Griebahn also enjoys traveling and competitive ballroom dancing with his wife. After competing around the country for years, in 2015 they were named national champions in the Senior 3 Bronze Standard Division. Main Family Dental Care is a proud member of the Friendly Dentist Network. Have a dental emergency? Don't be another day in pain! Davenport Dentists at Main Family Dental Care offer convenient, immediate, same day appointments for dental emergencies. Call the dental office if you are in pain. These are the major insurances accepted at Main Family Dental Care. We work with most insurance companies, so please call our office if you do not see your insurance provider listed! What causes tooth pain or toothaches? In this post I will discuss what causes a toothache and tooth pain and how to stop a toothache. Many times a toothache or dental emergency happens when your dental office is closed on the weekend or evenings. So this is a how stop a toothache until you can see your dentists. What exactly is a toothache and what causes a toothache? "The entire staff from the front desk, to the hygienists and dentists are thorough, professional and friendly. " "I have been going to Main Family Dental for a year now. I really like going there. Everyone is so nice and friendly." "Someone recommended Main Family Dental. I went there and never looked back. The staff is so friendly. Thanks Main Family Dental." "Staff was friendly, knowledgeable and professional. They repaired my chipped tooth quickly and painlessly. I am extremely happy with the results."